While Google has long avoided providing detailed numbers about its active users, the company recently announced achieving the major milestone of its Google+ social media network having 100 million monthly active users on various desktop and mobile devices. This accomplishment was worthy of celebration since the social media service has only been live for approximately a year. TechCrunch.com reported on the details of Google’s social media success. The impressive feat was posted by Vic Gundotra, Google’s senior vice president, engineering. He also wrote that more than 400,000 people have activated a Google+ account, which was another notable achievement considering the relatively short lifespan of the service. Google defined active monthly users as people who visited the site or used the mobile app at least once each month. This was a simple and frank definition that showed the company wasn’t including any additional offsite actions in its user tally. The announcement came as a surprise to industry professionals who had become accustomed to Google only providing vanity metrics that didn’t completely reveal the social media network’s true user base. The company had previously only touted insignificant data, such as the number of users that signed in to their Google+ accounts daily or the general growth of the network. With this recent announcement, Google has clearly demonstrated the strength of the social service and shown its ongoing evolution into a major social media destination. 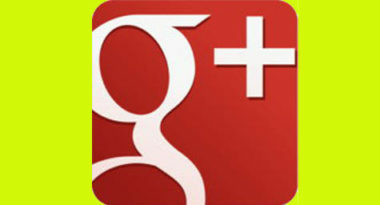 To discover the benefits of adding Google+ to your social media network, contact MDG Advertising today at 561-338-7797, or visit mdgadvertising.com.